When looking for a Top-rated chiropractor in Herndon,VA, look no further than the professionals at RxWellness Spine & Health. For over 23 years, at our Herndon chiropractic clinic, Dr. Golinsky has been helping patients recover from work-related aches and pains, injuries due to auto accidents, sport injuries, and other spinal-related medical conditions. In our Herndon chiropractic clinic, our goal is to return our patients to their highest functioning level by creating a treatment plan that is individualized to the patient’s needs, and specifically targets the underlying symptoms. Dr. Golinsky and his team in the Herndon chiropractic clinic help minimize the pain while accelerating recovery from injuries or other chronic conditions. They are always available to answer questions or address any concerns you may have during your course of treatment. Chiropractic care is a proven method of treatment for a number of acute and chronic conditions. After an evaluation, Dr. Golinsky will be able to determine the cause of your pain, and provide you with the best solution to treat or manage your individual symptoms or injury. Back pain is one of the most commonly treated symptoms in the clinic. Chiropractic care offers a non-surgical, drug-free approach to treating back pain caused by muscle strain, disc problems, arthritis, or other skeletal irregularities. Many suffer from either tension headaches or migraines which can make daily living difficult. Chiropractic care can help decrease the symptoms and get you back on your feet. Neck and shoulder pain may be the result of chronic poor posture, a strained or over-worked muscle, or even an accident. Chiropractic care is most effective when performed early after the pain begins and with a consistent course of treatment. Take a minute to watch the video and hear about our patients’ experiences in the clinic, as well as learn a little more about the type of unparalleled service you can expect at RxWellness Spine & Health. How often should you visit a car accident chiropractor in Herndon after you’ve been in a crash? Here at RxWellness Spine and Health Dr. Phil Golinsky recommends you make an appointment immediately, even if you don’t think you have any serious injuries. This is because musculoskeletal injuries including whiplash often show symptoms days or even weeks after your car crash. By this time your pain may restrict your movements and slow down your treatment. Yet your chiropractor can diagnose and treat car crash injuries before they present any visible symptoms, which will reduce your pain. When you visit your chiropractor for auto accident injury treatment in Herndon, you will begin with a chiropractic adjustment. An adjustment realigns your musculoskeletal system, which brings pain relief without the need for drugs or surgery. A chiropractic treatment also increases blood and oxygen flow throughout your internal systems. This helps to improve circulation along with your body’s ability to heal itself by reducing inflammation and swelling. As the swelling and inflammation recedes following a car crash, this takes away the pressure against nerves and vertebrae. If you are suffering from lower back pain, a bulging disc, or herniated disc after your accident, this will reduce that pain naturally. Whiplash is caused by the impact of the crash, which forces your head to move unnaturally and unexpectedly. 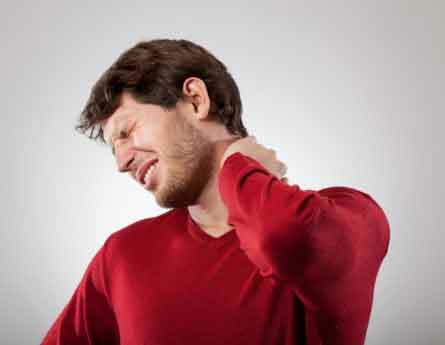 This can cause the fine muscles in the neck and upper back to tear. It can also lead to dislocations or herniation of your upper cervical spine. When this happens, the inflammation and swelling in your upper back, neck, and head muscles make it nearly impossible to move your neck and head. This is called whiplash. We provide whiplash treatment in Herndon that starts with a chiropractic adjustment to realign your upper cervical vertebrae. From there, we also massage and relax the muscles to help reduce the inflammation. Low level laser therapy uses low power lasers to modify and stimulate cellular functioning, reduce inflammation and pain and accelerate healing of damaged tissues. LLLT works by increasing cellular energy (ATP) and minimizing oxidative stress responsible for muscle and ligament inflammation. 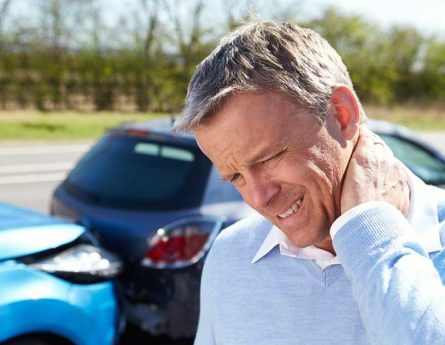 For auto accident victims suffering whiplash, delayed onset muscle soreness and other musculoskeletal problems, LLLT can provide relief from pain and stiffness without the need for prescription medications. Adjustment and manipulation involves your chiropractor applying pressure to specific areas of the spine using his hands or a chiropractic device designed to gently move vertebrae into their correct positions. Adjustments are not painful but patients may hear a cracking sound called joint cavitation. This indicates your chiropractor has released a buildup of gases (specifically, nitrogen and oxygen) within spinal joints. When these gases are released, pressure is reduced within the joint, leading to the dissolution of gases and the emergence of a "bubble". The popping sound heard is simply the bubble collapsing and the joint returning to normal--but without the buildup of gases responsible for pain and inflammation. 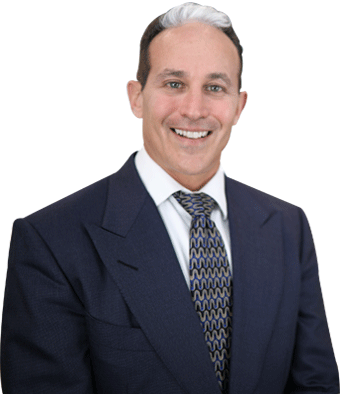 For over 23 years, Dr. Golinsky and his team have been helping patients recover from workplace accidents, injuries due to auto accidents, sports injuries, and other spinal-related medical conditions. Our goal is to return our patients to their highest functioning level by creating a treatment plan that is individualized to the patient’s needs, and specifically targets the underlying symptoms. Dr. Phil performs his initial consultation and evaluation over the course of two visits, taking time not only to get to know you personally, but to understand your condition. He then develops a unique treatment plan based on your diagnosis, and takes every opportunity to educate you about the path to pain-free, drug-free living. Once treatment begins, you and the doctors become a team to reach your goals quickly and effectively. 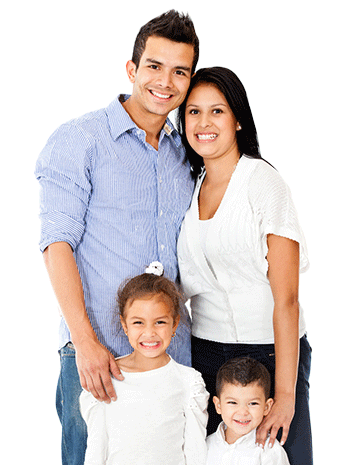 Our philosophy has always been to treat our patients as if they were our family! 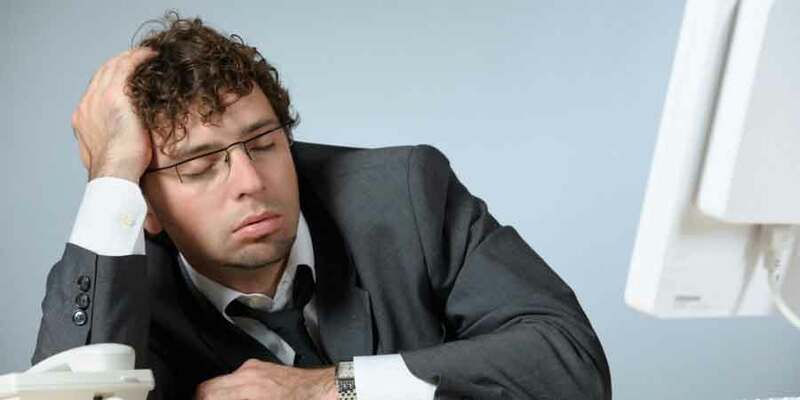 Employee Wellness Program presented by Dr. Phil at no charge can help boost employee energy, morale, and overall health and well-being. Dr. Golinsky is part of an exclusive, highly selective group of trained doctors who bring wellness into the workplace. These doctors specialize and excel in helping Human Resources (HR) and Benefits Directors implement Corporate Wellness Programs into their businesses. Wellness Champion Doctors not only demonstrate to employees that their employer values their health, but also allows companies to elevate the health and overall capabilities of each of their employees. We don’t mean to brag about our outstanding service and highly-skilled clinicians, but our former and current clients sure do! Read on to hear about some amazing patient results, and how our office does its best to ensure a pleasant experience at RxWellness Spine & Health. Dr Phil and his staff are very friendly and helpful. I was involved in a car accident a few weeks ago and called in on a Saturday morning, having severe back pain and neck pain. They got me in that day, and I was so thankful. After suffering from lower back problems and finally searching for good doctors, it was through google that I found this facility with great reviews now I want to thank Dr. Golinsky and his AMAZING Team for taking such good care of me. Dr. Phil has been so good to me. I have never met a doctor who cared more about his patient then any other doctor i've EVER met. The fact that I can talk to him freely without feeling uncomfortable really says something. 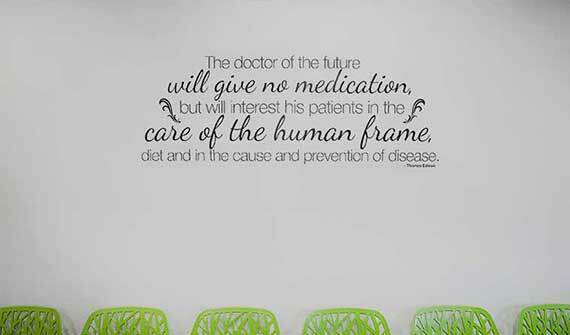 RxWellness Spine & Health is a patient-centered health care facility, where our philosophy involves a natural solution to healthcare, and a large emphasis on patient education. The best results are gained when a patient understands their condition, how it will be treated, and how to prevent injury reoccurrence. When Should I See My Chiropractor While Training? Our commitment is to provide our patients with the best chiropractic experience and encourage wellness from the inside out! How do we accomplish this? 1. We take pride in our beautiful, state-of-the-art facility that is designed to provide you with the best in-office experience. 2. We believe in caring for our patients from within. Our doctors and staff take great care to see that our patients feel better once they leave the office and continue on with their daily activities. 3. We are humbled by the patient testimonials we have received that help validate our commitment to your health. We are proud of our earned reputation for being the best!